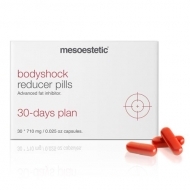 Helps to restore firmness and turgidity to tissues, especially in the breasts and buttocks. 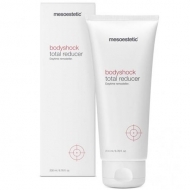 DESCRIPTION: Bodyshock Push-Up from Mesoestetic is a firming cream of the breasts and buttocks, which acts as a home complementary treatment to the professional treatment performed in the office. This product has been specially formulated to stimulate the skin of the breasts and buttocks, so that it synthesizes and optimizes its own natural systems, treating from the root the main cause of sagging. 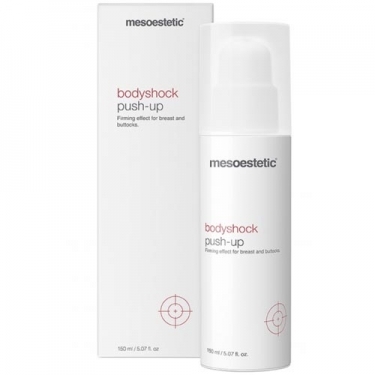 The firming, tightening and toning components of the bodyshock push-up act in synergy with the professional treatment, managing to restore firmness and turgidity to the treated areas. Apply once a day in the morning. Change sides and repeat 3 more times. Gently tap in the area with the clenched fist, stimulating circulation.